Ain’t no party like a star party! Passing through Fort Davis, Texas, I stopped at the McDonald Observatory, home of the biggest star party I’ve been to yet! 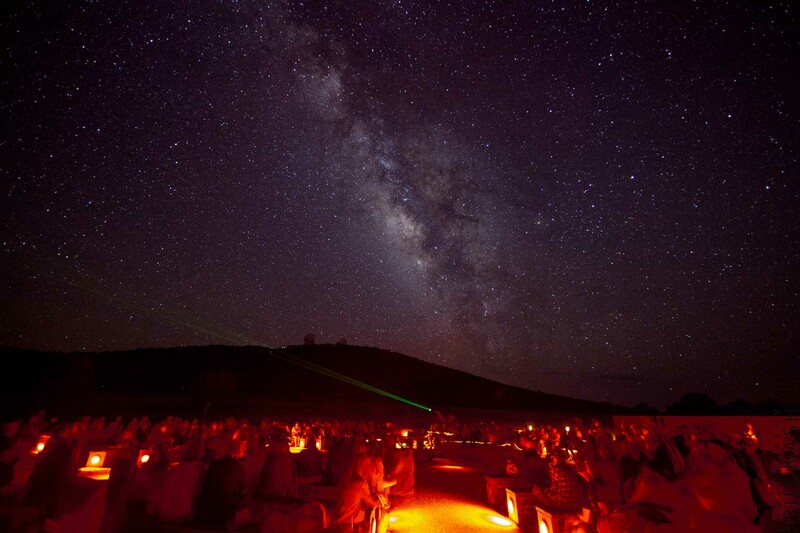 Held in the Rebecca Gale Telescope Park, it was standing room only in the outdoor amphitheater, a number of families having made the drive from around Texas for a spectacular night of viewing under one of the last new moons of summer. The park features three Ash domes, housing large telescopes capable of great images. For the first time ever, I got to see Saturn and four of its moons in a single frame, courtesy of a 22″ Cassegrain. One of the coolest things in the park is a unique 18″ telescope, a fixed outdoor kit known as the Wren-Marcario Accessible Telescope. The key element of the design is a wheelchair accessible eyepiece that’s always in the same location, with two principle mirrors set in opposition that allow the scope to image most areas of the sky, quickly and brightly. Through it I got to see a lovely ring nebula, and I was pretty excited that they’d taken the considerable time to research and design such a piece of hardware. In addition, a number of astronomers, amateur and otherwise, were setup around the perimeter of the park, viewing a variety of stars and galaxies with more traditional Dobson and Cassegrain telescopes, some more than a few meters in focal length. 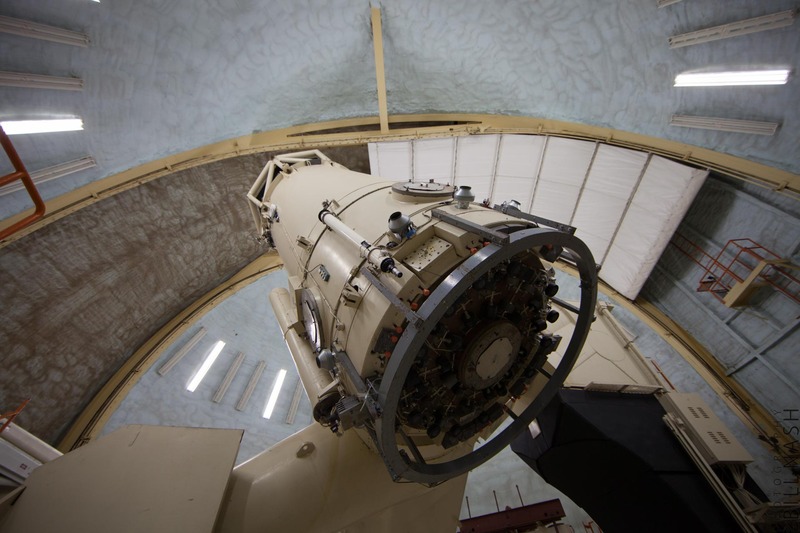 During the day, guided tours of the two bigger telescopes are available, giving visitors a change to check out the 82 inch Otto Struve scope, clocking in at a massive 45 tons, not including the counterweight. The primary tube is 8.2m in length, 2.6m in diameter, and follows a Cassegrain design, offering a handful of camera fixture points, as well as an interface to a massive spectrometer. I didn’t get an opportunity to see the Hobby-Eberly telescope, an 11-meter telescope of advanced design, using 91 mirror segments, due to the ongoing upgrades for some advanced spectrometry. If you find yourself traversing Texas, a stop through the little spot of history that is Fort Davis, as well as a jaunt up the mountain, is well worth the time. You can find visitors info for the McDonald Observatory on their website. Previous Previous post: Once upon a time, America was classy. Those days have passed. Next Next post: … that’s no moon.